Apples next-generation EarPods might do more than help you listen to great music. They could also integrate with heart rate and blood pressure sensors. This news was first posted on anonymous information sharing platform Secret. According to the posting, the EarPods will also feature iBeacons, so they dont get lost. More interestingly, they will require the Lightning port, which is why the audio jack was moved to the bottom. 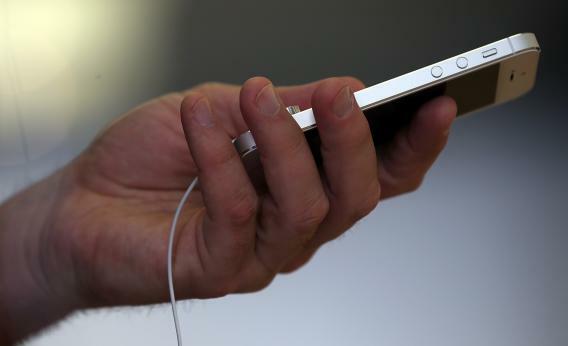 The iPhone audio jack was on the top of the device until the iPhone 5 launched in 2013. The iPhone 5s and iPhone 5c also have the audio jack on the bottom. Obviously, there is no way to confirm this news. As MacRumors first noted, however, a number of major tech stories have been broken on Secret. Adding to the drama, Apple proposed using sensors integrated into various accessories in a 2007 patent application. Apples iOS 8 is rumored to include a new HealthBook app that would integrate with the companys so-called iWatch. Hopefully, well be hearing more about this on June 2 during the Worldwide Developer Conference (WWDC) keynote. The “iPhone 6″ is likely to be released this fall. See also:This iPhone 6 Mockup Shows A Bigger, 4.7-Inch Handset Based On Real Designs,The Latest iPhone 6 Dummy Mould Shows More Of The Same, andApple’s iPhone 6 Could Be As Thin As The Current-Gen iPod touch.